What are Die-cut Sticky Notes? 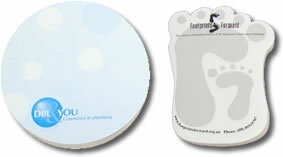 Die Cut shapes add a great point of difference to your custom printed Sticky Notes. Here is a full list of the shapes we currently have available. Just contact us on 1800 033 543 & ask for one of our helpful sales team or fill in the quote request form. Stikki Notes (also known as Sticky Notes) is copyright and registered.